Study Legal English has a range of membership plans to suit your budget and your learning needs. Click on the tabs below to see the different membership groups. Study Legal English has three memberships (LIGHT, PRO, TEAM) with the option to pay monthly, bi-annually or annually. Find an overview of the features for each type of membership in the table below. Can’t see what you need or looking for corporate membership? Get in touch to discuss options. Try Podcast Pro for FREE. We’ve unlocked some of the Podcast Pro Membership Features for Episode 1. Here you can try out the Podast Pro features which are available for podcast episodes before 2019. 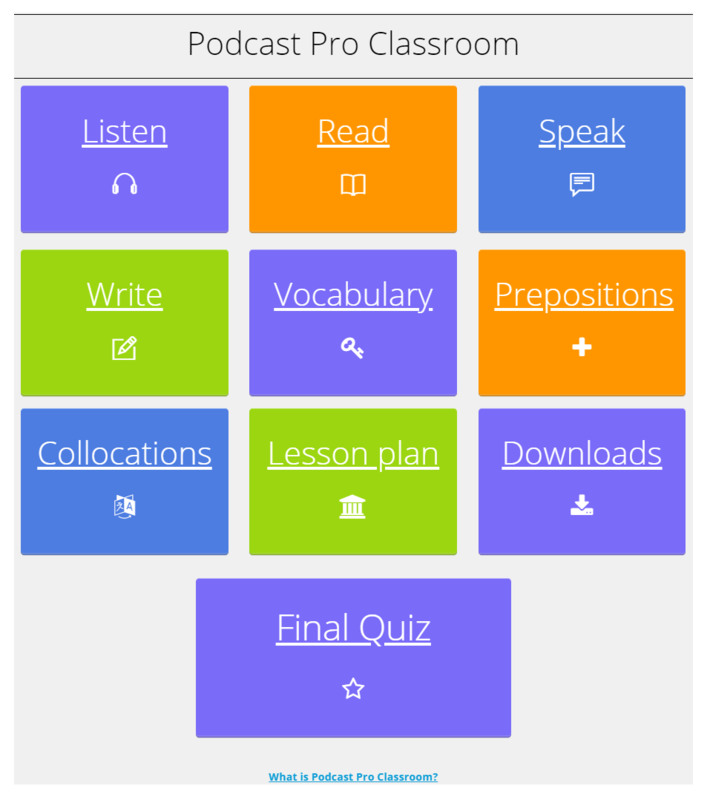 Gradually these features are being updated to Podcast Pro classroom, which has more advanced features (see below). Use the different icons on the right-hand side of the podcast player to navigate through different functions. Use the icons to navigate. Provided to paying members of Studylegalenglish.com. Not for resale or further distribution. Definition: Each good thing leads to another. Example: Networking produces a virtuous circle of opportunities, connections and client referrals. Definition: About to happen or appear. Example: Please find attached to this email details of our forthcoming meeting. Definition: To be very busy. Another way of saying this is ‘to be up to my neck with work’ or ‘I’ve been up to my neck in work’. Example: I’ve been snowed under at work recently. Definition: To update someone, or to tell them information about something. Another way of saying this is ‘to bring someone up-to-date on something’. Example: Let me fill you in on the latest developments. Definition: A trainee refers to a person who is undertaking some training. A trainee lawyer is a person who has completed their legal studies and is now carrying out a training contract. Example: I’m a trainee at MMBR Law firm. Definition: A compulsory period, normally two years, of practical training in a law firm for law graduates before they can qualify as a solicitor in the United Kingdom (UK). Example: Getting a training contract is highly competitive. Definition: Potential clients who could purchase your goods or services. Example: I need to follow up those leads from the conference. Definition: A discount which is applied to the cost of something for people who sign up to or register for something earlier than other customers or before a specified date. Example: If we register for the conference early, we’ll be eligible for the early bird discount. Definition: French for ‘répondez s’il vous plaît’ and means to respond to the invitation. Example: I RSVPed to the event yesterday. Definition: To know about something or to be up-to-date on the topic. It’s another way of saying well informed. Example: I feel really clued-up on incorporation after that company law lecture. Definition: A concise and precise document which sets out the facts around a particular issue, and can suggest a course of action. It summarises a topic and is aimed at quickly informing people. Example: Every week I read the firm’s briefing paper to make sure I’m well informed on internal news. 1. Everyone is in the same boat. Definition: To be in the same situation as someone else. Example: At a networking event there will be lots of people in the same boat as you; they may be a little nervous and English won’t be their first language. 2. To kill two birds with one stone. Definition: To do two things at the same time. Example: At a conference you can kill two birds with one stone, by meeting people and updating your knowledge. Here you can listen to phrases spoken by a native English speaker, record and compare yourself to the original to practise your pronunciation. First, click the to the left of each sentence and listen to the pronunciation. Next, press “Click to record” on one of the green recorders on the right hand side. If there is a pop-up press “allow”. Speak and record your voice. Press “Click to stop”. Press “Listen” to hear your recording or “Retry” to try again. 1. Networking produces a virtuous circle of opportunities, connections and client referrals. 2. Please find attached to this email details of our forthcoming meeting. 3. I’ve been snowed under at work recently. 4. Let me fill you in on the latest developments. 5. I’m a trainee at MMBR Law firm. 6. Getting a training contract is highly competitive. 7. I need to follow up those leads from the conference. 8. If we register for the conference early, we’ll be eligible for the early bird discount. 9. I RSVPed to the event yesterday. 10. I feel really clued-up on incorporation after that company law lecture. 11. Every week I read the firm’s briefing paper to make sure I’m well informed on internal news. 12. At a networking event everyone is in the same boat. 13. At a conference you can kill two birds with one stone, by meeting people and updating your knowledge. Use the links below to download the audio or transcription of this episode. This is for your own personal use as a Podcast Pro Member and on no account is to be redistributed. We’ve unlocked some of the Podcast Pro Classroom for Episode 32. As of 2019, new features are being added to new podcast episodes. This is called Podcast Pro Classroom. You can test out these features here. I’d like to become a member!